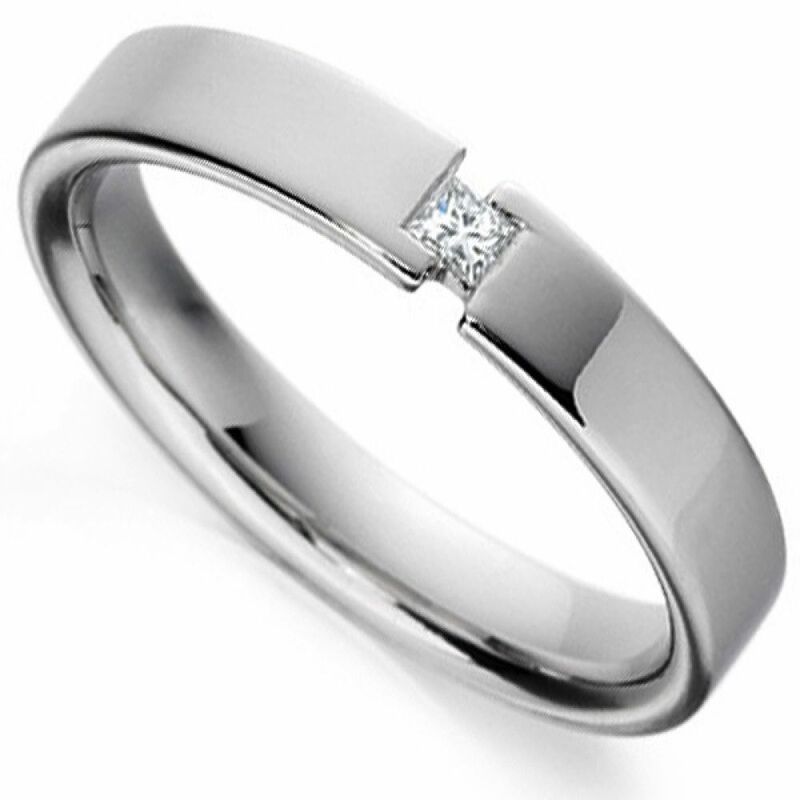 Beautiful 4mm flat court profile wedding ring set with a single 2mm square princess cut diamond in an elegant design. Set within a 4mm flat court profile band is a single 2m Princess cut Diamond, 2mm in width. The Diamond in the design has a carat weight of 0.05cts, and has been graded G Colour and VS2 Clarity prior to being expertly partially flush and bezel set into the band. This is a beautifully styled design, which features open edges either side of the Diamond to give a contemporary feel to your Wedding Ring. We can craft your ring for you in a number of different precious metal choices, including our fully ethical 28ct Fairtrade Gold options too. Once we have created your ring for you it will be delivered straight to your door by a secure courier, presented in our beautiful Serendipity Diamonds packaging.